Boppy nursing pillow cover made of pink gingham fabric with magenta floral and scrollwork. The pillow has a 20-22" zipper to make it easier for you to put the cover on to the oddly shaped pillow form. This listing is for a cover only. If you need a pillow, you can purchase them from Babies R Us or Target. 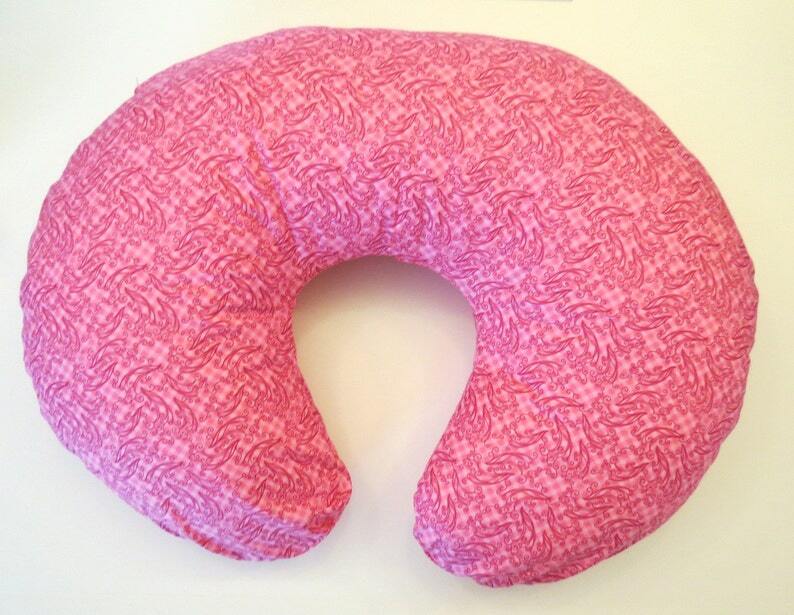 If you prefer, we can create a custom order for a Nurture Nest pillow at $20.